Our Oregon real estate broker license training courses & textbooks meet all REA education requirements. Get started on your real estate license Oregon today! The OnlineEd Oregon Real Estate Broker Pre-License Training course is authored and instructed by practicing Oregon real estate brokers. With OnlineEd, you get an Oregon real estate license course written by experienced Oregon authors. 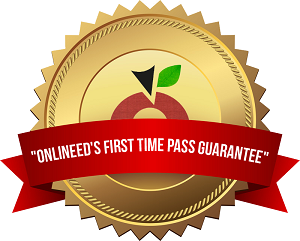 With OnlineEd's Book Bundle you'll receive over $600 in products not offered by our competitors. Many links to forms, examples, and additional information in the OnlineEd File Cabinet, including a glossary of common real estate terms. More than $600 in extra value! Our Book Bundle includes everything you need to complete your education and pass your real estate license exam. This OnlineEd Oregon Real Estate Broker Pre-License Training Course is approved by the Oregon Real Estate Agency to meet the educational requirements necessary to obtain a real estate broker license. OnlineEd is an Oregon licensed vocational school, regulated by the Oregon Higher Education Coordinating Commission and properly authorized to offer real estate broker pre-licensing education. The OnlineEd course delivery method is approved by the Association of Real Estate License Law Officials (ARELLO).